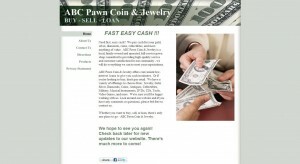 ABC Pawn Coin & Jewelry address, phone, website, hours of operation, and more. 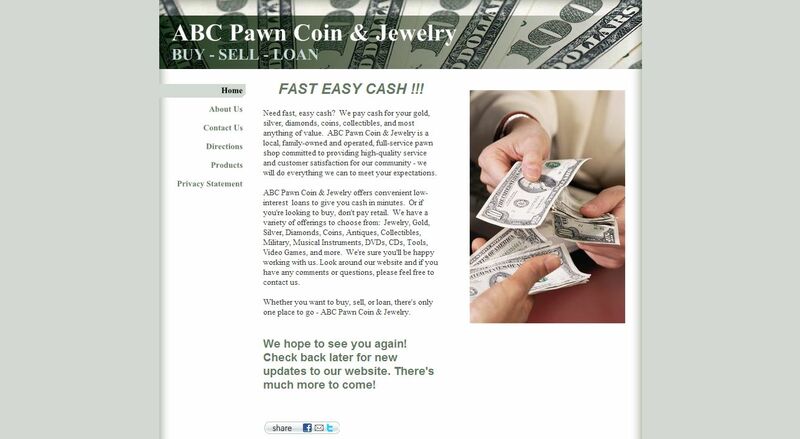 ABC Pawn Coin & Jewelry offers convenient low-interest loans to give you cash in minutes. Or if you’re looking to buy, don’t pay retail. We have a variety of offerings to choose from: Jewelry, Gold, Silver, Diamonds, Coins, Antiques, Collectibles, Military, Musical Instruments, DVDs, CDs, Tools, Video Games, and more. We’re sure you’ll be happy working with us. ABC Pawn Coin & Jewelry is a local, family-owned, full-service pawn shop. Our company is based on the belief that our customers’ needs are of the utmost importance. Our entire team is committed to meeting those needs. As a result, a high percentage of our business is from repeat customers and referrals.